I want summer to end already. Woah, yes, that’s right – I said it. The more it randomly rains for one day, the more I realize how much I love rain, and thunderstorms, and cuddle weather… I miss Fall and I want it to be here. I also love school and I want the semester to start. I get these fluttery feelings inside when I think of Fall. It makes me think of new beginnings; it is sort of like a nostalgic feeling – I get those a lot. They are wonderful feelings because they make me feel and think of how things used to be and how I used to feel, it makes me miss my childhood. But I don’t dwell on those feelings. I do hope to recreate them eventually though, probably with my own family in the future (whenever the time comes). The cuddle warm feelings of sitting in bed while it’s storming outside. I love those moments. It is saddening to me that this will be my last year at college. As much as I am ready to conquer the world, I am not entirely ready to leave school and the light-heartedness and “lack of” serious responsibility that comes with it. It means that another chapter of my life will be closed. The thought both excites and terrifies me. Along with the thought above, holy crap, is it really the end of July already? Like, as much as I’m all for Fall being here – where has the time gone? Seriously, it feels like yesterday was only the weekend after 4th of July. The time is going by faster than it ever has before. It’s awesome cause Fall is near but I highly doubt the time will slow down once it’s in my ideal spot – next seasons will come and go just as quickly, I’m sure. We live in such a busy hurried world. Anywho, you might have noticed I have been on quite the parfait kick lately. This time a ripe banana had to be used that has been sitting on the counter for about a week. Super sweet goodness. 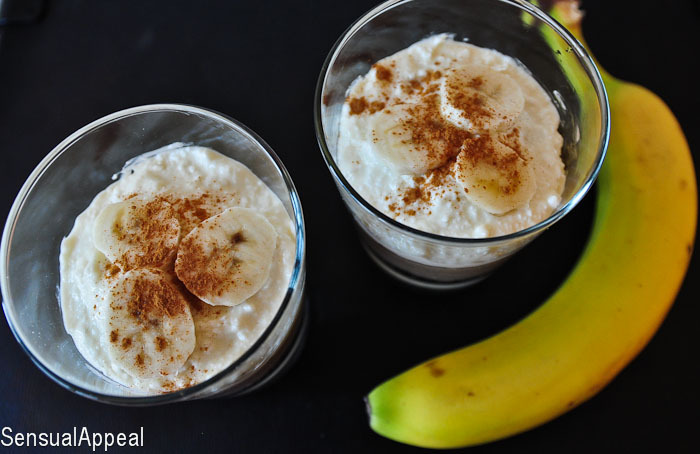 Time to get in my belleh– parfait style! Yeah, this time it’s a banana cream pie parfait. I just come up with these things as I go. I might be inspired by random things. *cough* pinterest *cough* I also have a whole list of recipes I have altered that are waiting for me to dig into and finally make in the kitchen but in time… mister, in time. There’s a time and place for everything. And today, it was the time for this banana. I made this in the afternoon and ate one right there and then ate another one for breakfast. The breakfast one tasted even better, so I recommend you give it a try and stick it in the fridge for a whole bunch of hours. You won’t be disappointed. Have you ever made a cream pie? What flavor was it? 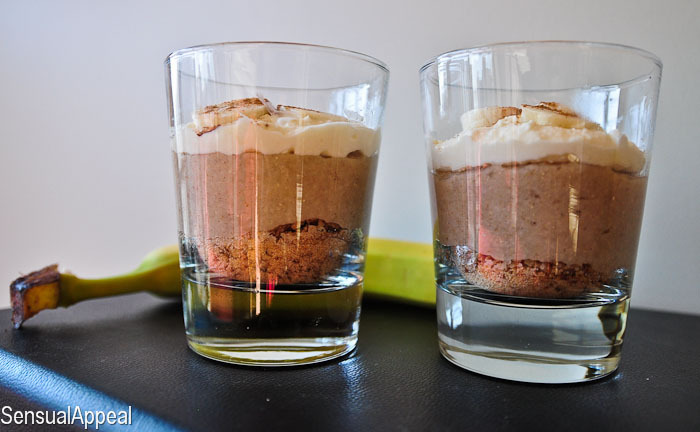 Do you like to transform cake or pies into a smaller and healthier portion, like these? Kammie, Your parfait looks amazing and so healthy!!! I love it! I am so loving all of the parfaits your making!! 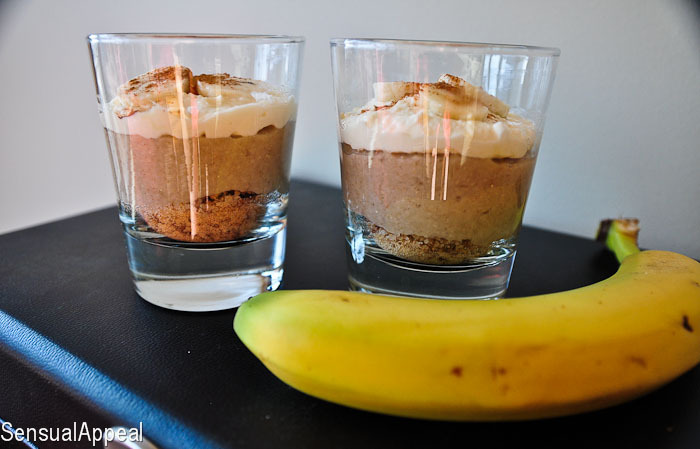 Pretty little parfaits.. and healthy too, bonus! Just your words mentioning fall conjures up those same feelings of nostalgia for me as well. We’ve scarcely begun summer here, due to the rainfall, so the thought of fall is not overly enticing, but you’ve reminded me how great it is! Summer doesn’t last very long over by you either, right? Oh wow, still no summer vacation huh, that’s pretty tough. But a good way to get ready for the “real world” where no summer vacations exist, I suppose, which I’m actually okay with, I feel soooo lazy when I don’t have a schedule and stuff to do on an almost-daily basis, I become such a couch potato, which is why I’m glad I have this summer internship, keeping me busy. I’m gonna be sad when I’m done with school though :/ What year are you in school? I feel exactly the same way about fall, couldn’t have said it better myself – new beginnings, there’s more energy in the crisp air that you don’t get with summer heat/humidity. I still feel that way about fall, even though I’m not a student anymore! weird haha. Anyway, this parfait looks incredible. I’m all for cold creamy things right now! Ohhh I’m glad you still feel this way about fall, I was actually getting kinda worried that I will stop seeing Fall that way once I get out of school (so soon!) but now I’m reassured it probably won’t happen to me. Crisp air, new beginnings, etc… my roomie and I were talking about it and it’s so weird but NYE doesn’t really feel like a new beginning at all cuz it’s at such a random time but beginning of Fall most definitely does. this is such an interesting concoction! i am always looking for new healthy sweet treats. this sounds like a great one! I so agree with you on all of the complex, toasty, wonderful, bittersweet feelings that the fall season brings. A very nostalgic time – I wonder why that is? I especially miss it when the summer is SO hot and SO dry. It seems never-ending! Hate to wish time away, but alas, I’m human ;-)! 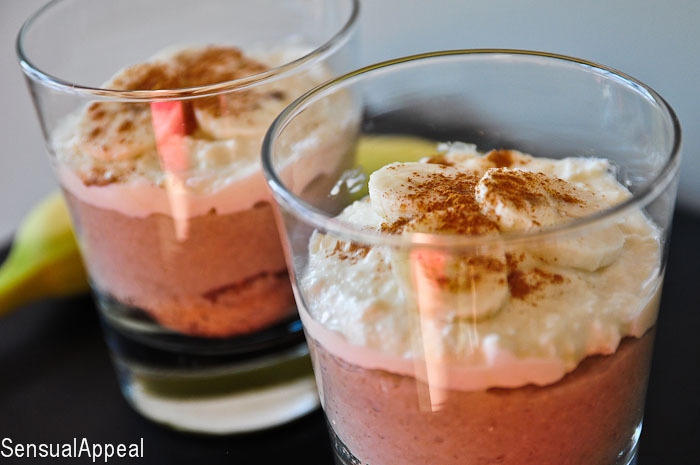 these parfaits are to die for! I have seriously copied all these recipes so I can start making them asap in my new apartment. YES!! I LOVE Fall…it’s 100% my favorite season and my heart skips a beat from excitement whenever I think of how close the season is. Just a few more months! I completely understand all of the feelings you describe about Fall because I totally feel the same. Fall is so nostalgic too…especially now that I no longer return to school (heart-breaking in many ways so brace yourself :/ ). It makes me miss my childhood and look forward to the future and “growing up” all at the same time. Complex, beautiful, confusing, and lovely.